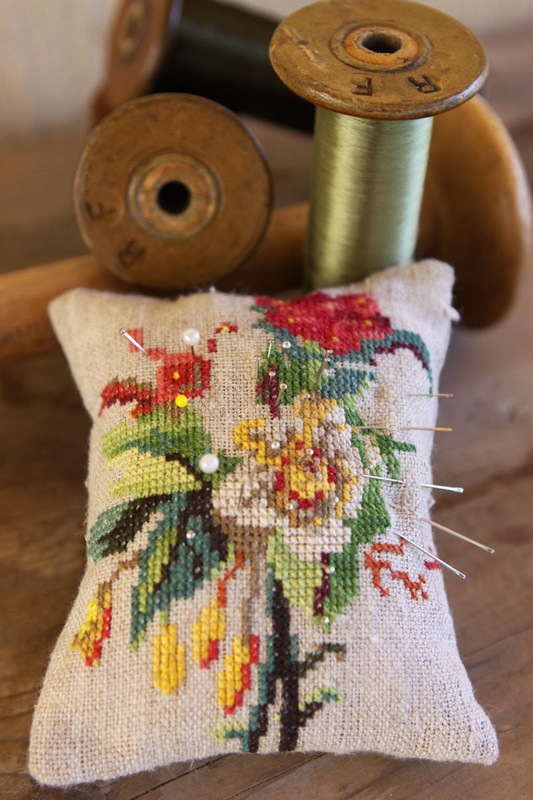 This is not quilting, but I was feeling like showing one of my pincushions that I re-discovered after putting order in my studio. 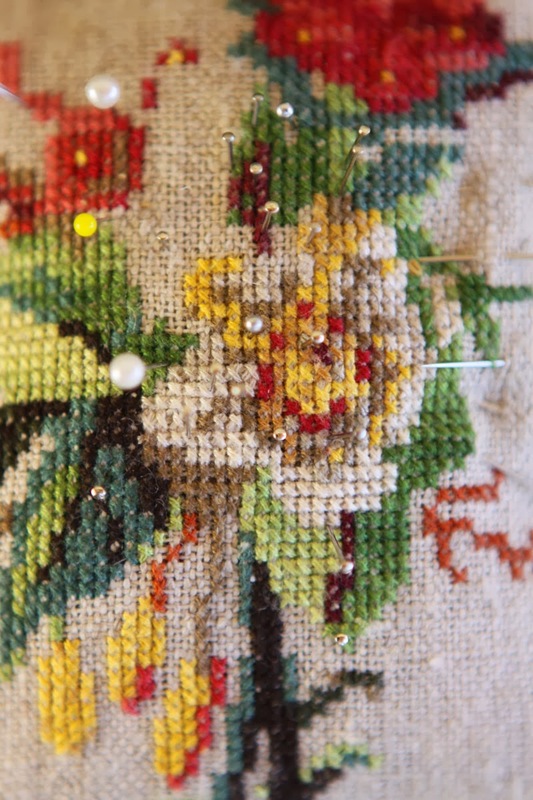 I think that this embroidery was meant to be a big one (I don't remember what exactly) but it remained at the size of a pincushion!! I suppose the work of cross-stitching on a raw piece of old linen was tedious and backbreaking, and it discouraged me from going further! C'est tout de même très joli ! I tried cross stitching after many years and decided my eyes are not what they used to be! Your pin cushion is so pretty! Thanks Lori. I did a lot of cross stitch until about two years ago that I finished an alphabet on very thin dark linen, and I understood my eyes were getting tired! This is one of my favorites. Just love the vintage look of it...don't know if I 'd be able to stick pins in it! LOL! That is really too pretty to stick pins into. I love it. 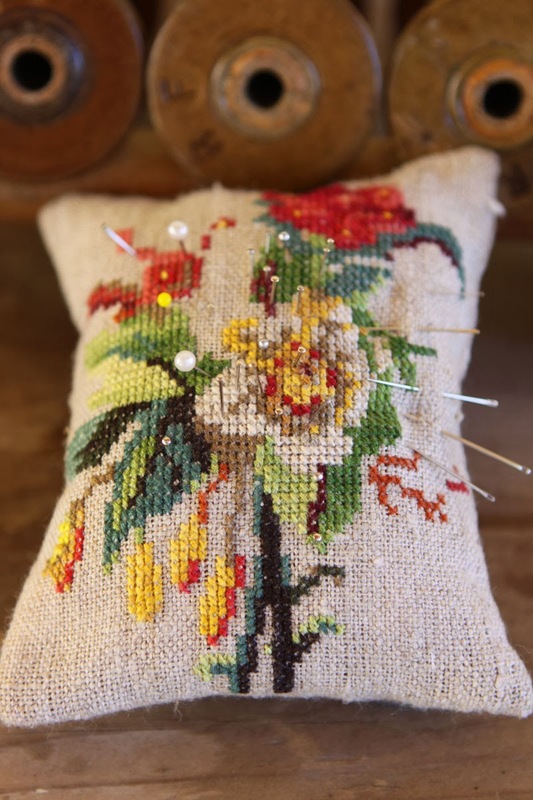 What a great way to use a small embroidery piece and show off your skill! I love how you remade this into something beautiful AND useful!